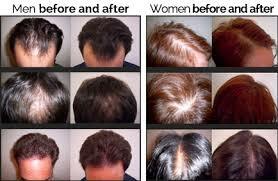 Combined LED and low level red laser light is known to be an extremely effective means of preventing hair loss. 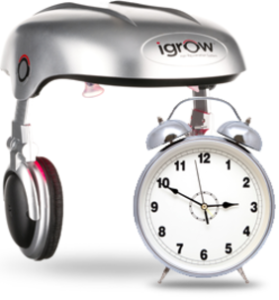 Currently the devices available for treating hair loss at home include the iGrow, a user-friendly hands-free device, and laser combs/brushes, which can be inefficient. Both types of product can be used without any supervision and in the comfort of your own home. Lasers have long been used in a diverse range of industries and in varied capacities. The type of laser energy that is used to stop hair loss and promote hair regrowth is red light energy, which comes under the definition of LLLT, or Low Level Laser Therapy. It’s a type of phototherapy, whereby the light source may be an LED (light emitting diode) or a Laser. In all forms of LLLT, tissue is targeted by light energy at a very specific wavelength. The targeted tissue molecules absorb the light energy at a cellular level, resulting in an increase of energy within the cells. This excess energy has to be “worked off” through a series of adaptive changes, which are usually both chemical and physical. Dependent upon the wavelength used during treatment, these changes can have a permanent biological effect on the surrounding cells and tissue. As these changes are caused by a type of phototherapy, the physical changes are referred to as being caused by “photo physics” and chemical changes as “photochemistry”. The resulting effects on the tissue and cells are known as photobiomodulation. In 1967, a Hungarian scientist studying the use of lasers in treating skin cancers in mice, discovered that visible red laser light may stimulate hair growth. The hair on the backs of the mice were shaved in the area to receive treatment. One group of mice received laser treatments, one group did not. The hair within the shaven area grew back more quickly in the mice treated with laser. Who Could Benefit From Low Level Laser Therapy? LLLT is most effective at treating hair loss in cases of androgenetic alopecia (male pattern and female pattern baldness). Patients who are mild to moderately afflicted by androgenetic alopecia tend to see better results than those severely afflicted. Individual results vary. Can LLLT Be Used for Hair Restoration? Medical experts and physicians agree that LLLT is extremely effective in stopping hair loss and restoring hair regrowth in patients experiencing female and male genetic pattern baldness. Studies have also found that the overall condition and strength of hair is restored in areas treated with LLLT. 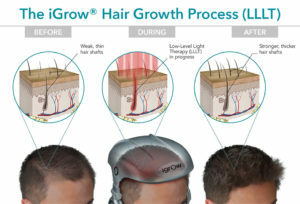 In addition to this, LLLT is beneficial to patients who may have undergone hair transplantation surgery, as it is known to speed up graft healing and improve the potency of hair grafts. How Long Does LLLT Take? Low Level Laser Therapy is not a quick fix and should be used regularly in order to maintain hair gained, prevent further hair loss and to continue to promote healthy, strong hair. The suggested treatment schedule is three to four times (every other day) each week for approximately 20 minutes per session. Within four to six months, the patient should begin to see the desired results. Once hair regrowth and restoration has been achieved, it is advised that the patient switch to a “maintenance” schedule of one to two times per week in order to preserve hair growth and restoration and to keep hair strong, healthy and full.